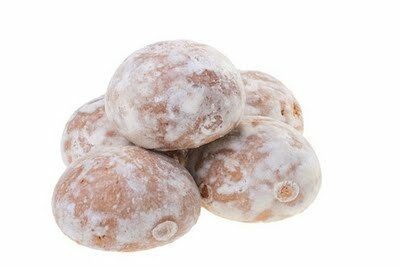 Since i came home i’ve been eating a lot more Romanian food rather than english style food. The main reason is the fact that i am here and the other that i can’t really cook(standing is difficult when you have only one healthy leg. But i enjoy helping mum prepare food and earing the food too of course. 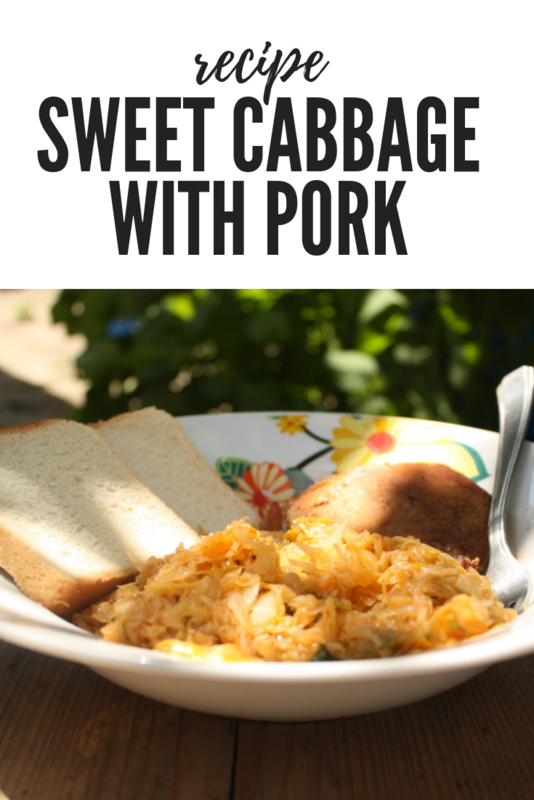 Today i have for you another traditional romanian recipe – ‘Sweet cabbage with pork’. In a pan that has tall walls add the oil. Heat and when the oil is hot add the chopped onion. Fry until the onion becomes soft and glassy. When this happens add the chopped cabbage(this is cut like noddles almost). 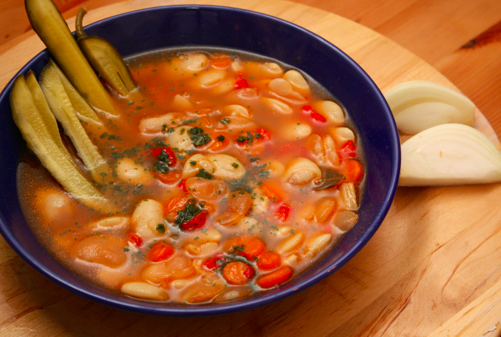 On top pour water – enough to cover the cabbage – add the bay leafs and the pepper. Cover and put the hob on medium. Cook until the cabbage becomes softer. In the meantime prepare the pork. 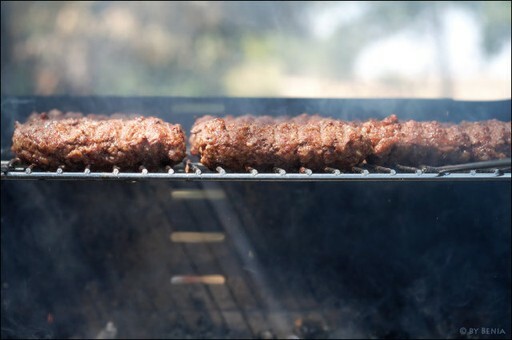 This time around we put the pieces in a tray and drizzled with a bit of water,pepper and salt and cook in the oven. 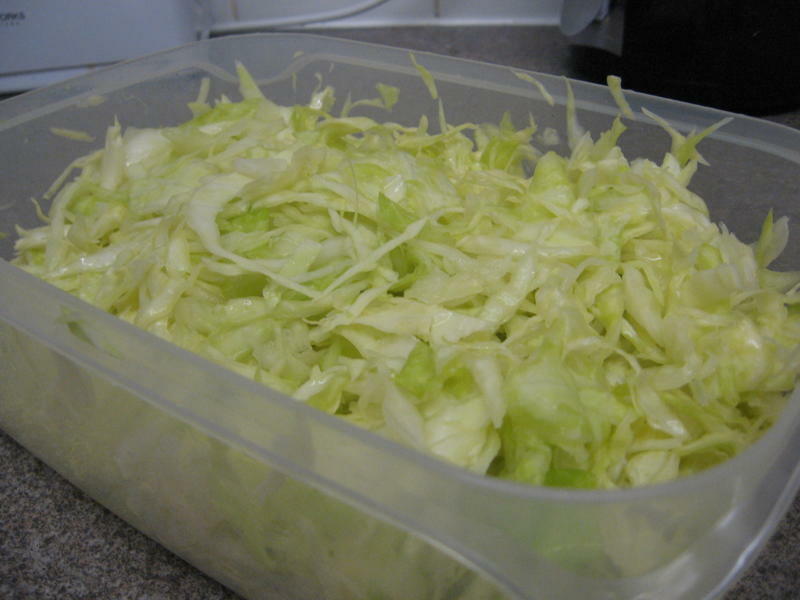 I prefer it like this but you can always add the meat before the cabbage in the pan and cook until the red dissapears and only after add the cabbage. When the cabbage is soft add the tomato paste. Let to boil until the liquid is reduced(as desired). Sprinkle with parsley if you wish or add more salt. 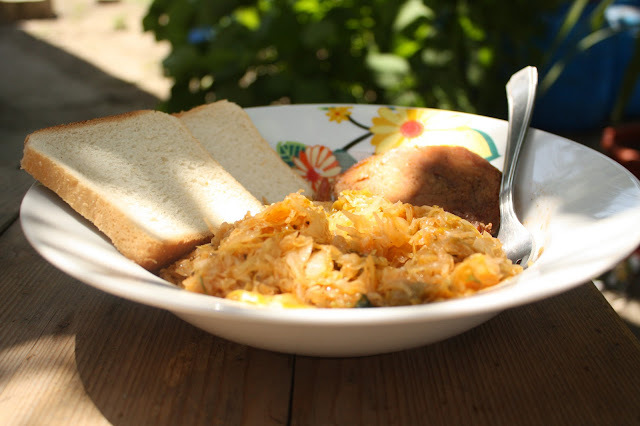 Serve the cabbage and pork hot with a piece of bread and some chilli or with mamaliga.